Is your React component not rendering? Quick quiz: When a React component loads data from the server in componentWillMount like this one below, what will it render? If you answered “nothing” or “a console error,” congrats! A component’s state (e.g. this.state) begins life as null. When you fetch data asynchronously, the component will render at least once before that data is loaded – regardless of whether it’s fetched in the constructor, componentWillMount, or componentDidMount. Yes, even though constructor and componentWillMount are called before the initial render, asynchronous calls made there will not block the component from rendering. You will still hit this problem. This is easy to fix. The simplest way: initialize state with reasonable default values in the constructor. This is not the ideal way to handle it though. If you can provide a default value, do so. 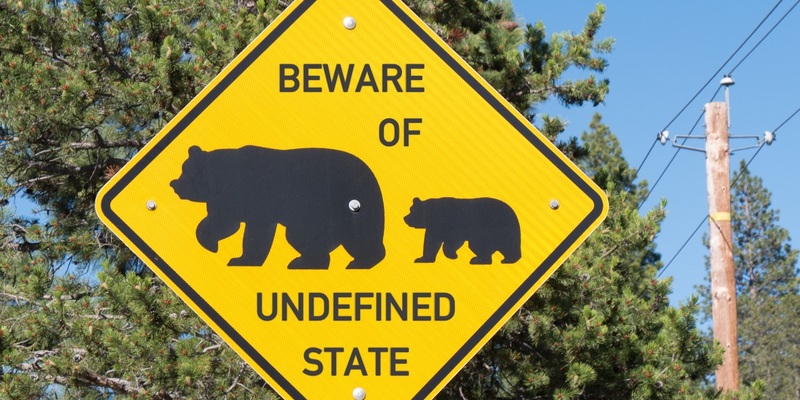 The lack of default or “empty state” data can bite you another way, too: when undefined state is passed as a prop to a child component. // Get the data "soon"
See the problem? When Quiz first renders, this.state.items is undefined. Which, in turn, means ItemList gets items as undefined, and you get an error – Uncaught TypeError: Cannot read property 'map' of undefined in the console. However, you will still get the error – Uncaught TypeError: Cannot read property 'map' of undefined. A failed propType check does not prevent the component from rendering, it only warns. But at least this way it’ll be easier to debug. One more way to fix this: you can provide default values for props. Default props aren’t always the best answer. Before you set up a default prop, ask yourself if it’s a band-aid fix. Is the default value there just to prevent transient errors when the data is uninitialized? Better to initialize the data properly. Is the prop truly optional? Does it make sense to render this component without that prop provided? Then a default makes sense. This method works whether your component is a stateless functional one, or a class that inherits React.Component. This method only works for classes, and only if your compiler is set up to support the static initializer syntax from ES7. A default can be provided using the ES6 destructuring syntax right in the render function. This line says “extract the items key from this.props, and if it’s undefined, set it to an empty array”. // Use items here. It'll default to an empty array. Initialize state in the constructor and/or be sure to handle empty data. This article has been translated into Korean here.